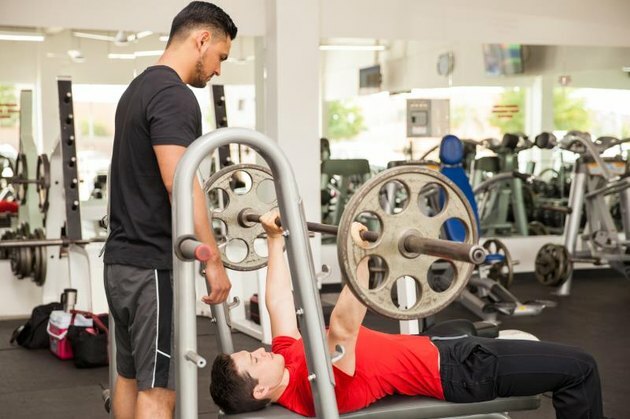 When you want to know whether a dip or a bench press is better, it depends: Why are you asking? If you're after a strongly built chest, then the bench press reigns supreme. However, if you want a move that blasts your triceps, the dip is your best bet. The way in which you do each move also matters. 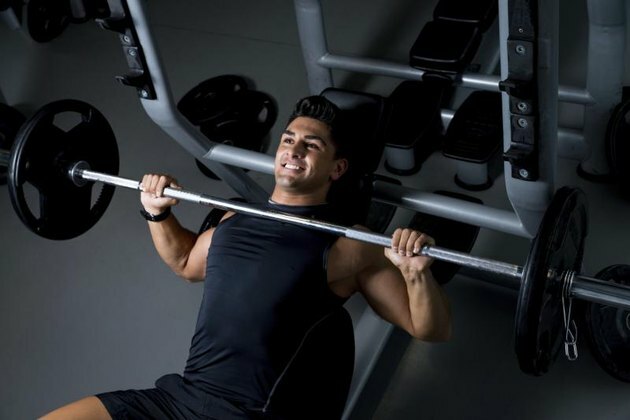 A narrow grip for your bench press and a bench dip are going to be more triceps-centric, while a wider grip on the bar or a chest dip emphasizes the pectoralis major more. Two types of dips exist: chest dips and bench dips. Each are similar, but the way in which you angle your torso changes how your muscles are activated. Do chest dips on a set of parallel bars. Place a hand on each bar, hover you legs and bend and extend your elbows to dip down and up. Lean your body slightly forward from the hips to create more activation of the chest. This variation of the dip mostly emphasizes the upper chest, known as the clavicular region of the pectoralis major. You'll also feel the burn in your triceps, upper back and mid back. Bench dips are usually done with a workout bench, or other elevated surface such as a step riser — or if you're at home, a coffee table. Sit on the edge of the bench and place your hands by your hips, fingers facing your feet. Walk forward so that you're held up just by your hands. Bend and extend your elbows to lower and lift your buttocks, hips and torso. This dip is primarily a triceps exercise, but your chest, fronts of the shoulders and upper back do play a supporting role. Compare dips to two of the most commonly seen versions of the chest press. A narrow grip, slightly closer together than your shoulders, increases activation of the triceps and lessens the activation of the pectoralis major, reported a study published in a 2005 issue of the Journal of Strength and Conditioning Research. A grip slightly wider than your shoulders does more to work your pectoralis major and anterior delts, the fronts of your shoulders. 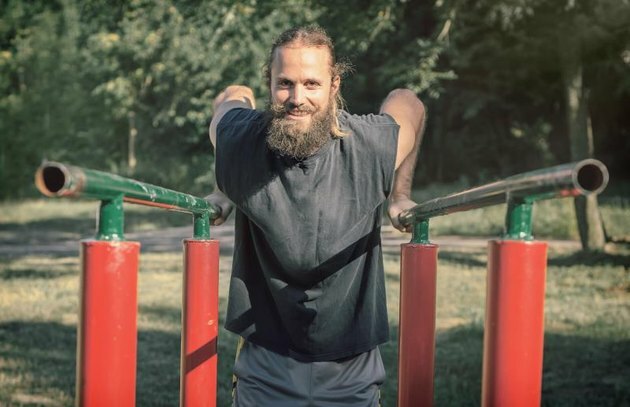 If you're after an exercise to fire up your triceps, the bench dip variation is probably your best choice when it comes to these exercises. The bench dip isn't the absolute best move for these muscles at the back of your upper arm — that's the triangle push-up — but the bench dip does rate much higher than the narrow-grip chest press in terms of triceps activation, revealed a 2011 study sponsored by the American Council on Exercise. Results revealed a 25 percent greater activation of the triceps with the bench dip compared to the narrow-grip chest press. When you're after the most chest activation, the flat bench press with a traditional grip is your No. 1 choice. A separate study sponsored by ACE in 2012 showed that the chest press elicited the most pectoralis major activation when compared to eight other exercises. The chest dip was only 70 percent as effective as the chest press in this study.